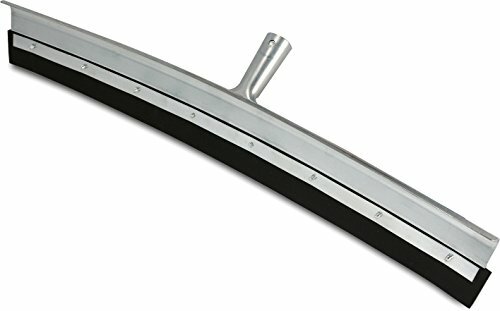 Unger's 24-inch Curved AquaDozer MAX Smooth Surface Squeegee features a rounded hood and Maxwave technology to move 50% more water, slush, and debris with same effort than standard floor squeegees. A durable rubber blade resists harsh chemicals, oils, and acids, and works best on smooth surfaces like asphalt and concrete floors. Durable, galvanized steel construction provides plenty of strength. This squeegee attaches to Unger's Professional Dual End Aluminum Pole (sold separately) for extended reach. Unger guarantees to replace any Unger Professional branded product found defective in material, construction, or workmanship.